TURCK introduces its new stainless steel process junction box. With the ability to consolidate up to eight individual, localized analog or discrete signals into a single device, this junction box streamlines connectivity requirements. For greater simplicity, the signals are then routed to a control unit through a single homerun cable. In addition to simplifying connectivity, TURCK stainless steel process junction boxes provide a robust connectivity solution in harsh environments such as oil and gas exploration, off-shore drilling platforms and pharmaceutical plants. The junction boxes feature FM approval for Class 1, Division 2, Groups A, B, C and D hazardous locations, and ingress protection of IP67 including the junction boxes receptacles as long as the ports are covered/connected. Additionally, TURCK stainless steel process junction boxes have cast 316 stainless steel electropolished housing ensuring optimal performance in areas that present severe environmental conditions including water, salt spray, gases and other corrosive materials. "The new stainless steel process junction boxes take our connectivity capabilities to a whole new level," said Jeff Schoenberg, Connectivity Product Manager, TURCK. "With a robust design and enhanced connection capabilities for multiple signals, our customers can achieve the performance and compatibility required for harsh process automation environments." 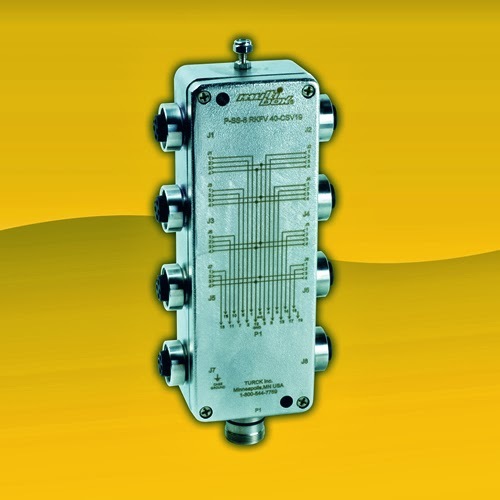 TURCK stainless steel junction boxes utilize TURCK minifast (7/8”) or eurofast (M12) port connectors and include a multifast (M23) homerun connector.